With more and more people using the internet to find local businesses, now more than ever, it’s important that you have a strong online presence. Just having a website is no longer enough. Now you need more than a website to rank high on the search engines. Social media, online business directories, backlinks, content, etc. all factor into how Google and the other search engines determine whether you rank on the first page of the search engine results pages (SERPs) – or not. 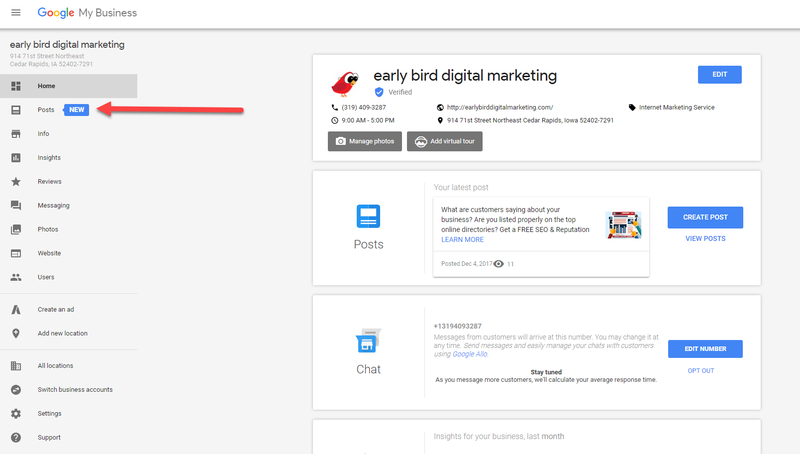 One way to increase your odds of ranking higher on Google is by claiming and optimizing your free Google My Business (GMB) online business listing. Google wants to make sure that the information they provide searchers is accurate and informative. They also want to help local businesses. Google gives qualifying local businesses a FREE online listing that local businesses can claim and verify. This listing includes your company’s name, address, phone number (NAP), business hours and other information that helps local customers find you online. 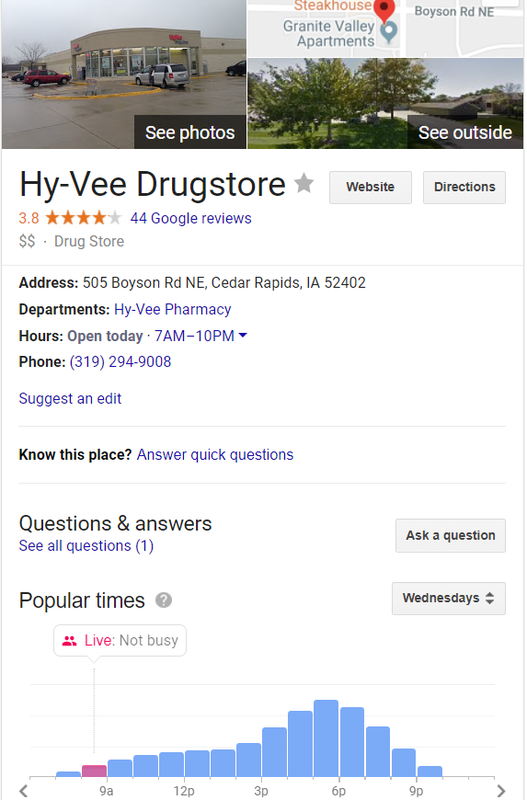 If you haven’t claimed your company’s Google My Business listing yet, visit https://www.google.com/business to get the process going. 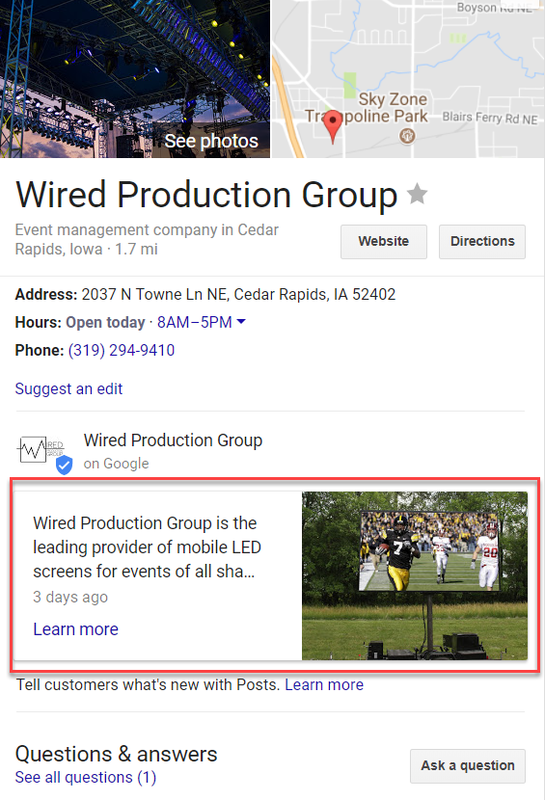 And the information you include in your GMB listing will also show up in your business’ knowledge panel that appears on the right-hand side of Google results when someone searches for your company’s name on Google. After setting up their Google My Business listing, most companies just forget about it. But what many business owners don’t realize is that Google gives you several different options to optimize your listing and allows you to actually interact with potential customers through your Google My Business listing. Want to learn about some of these cool features? Go ahead and have fun with your Posts! Make them fun, creative – something that will grab your potential customers’ attention. Your Post will show up on your knowledge panel and will help you engage with your future customers. Posts stay up for seven days or if you’ve created an event post, it’ll be removed after the event date. 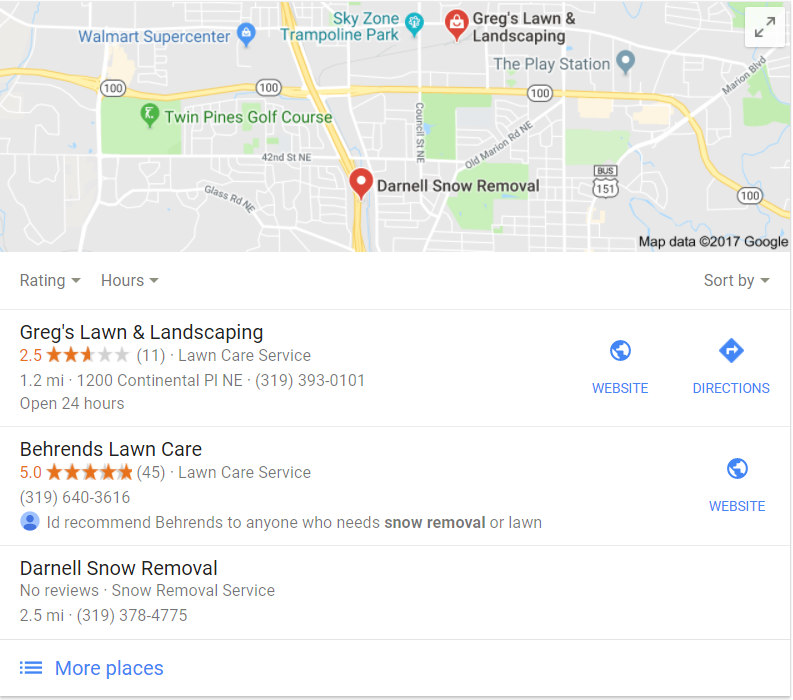 Does creating a Google My Business Post help your local rankings? 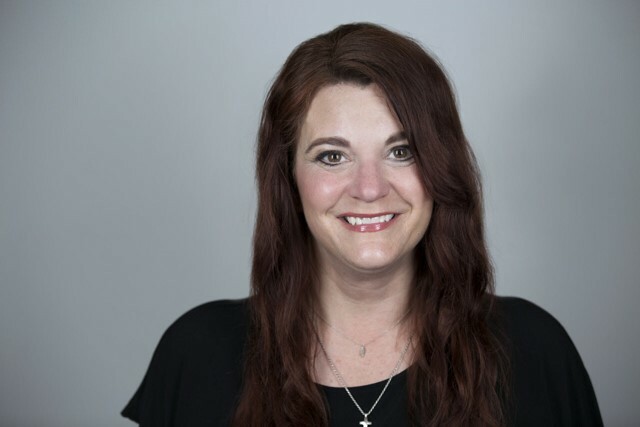 Local SEO gurus Joy Hawkins and Steady Demand tested them, and they found that making Google My Business Posts can improve rankings. 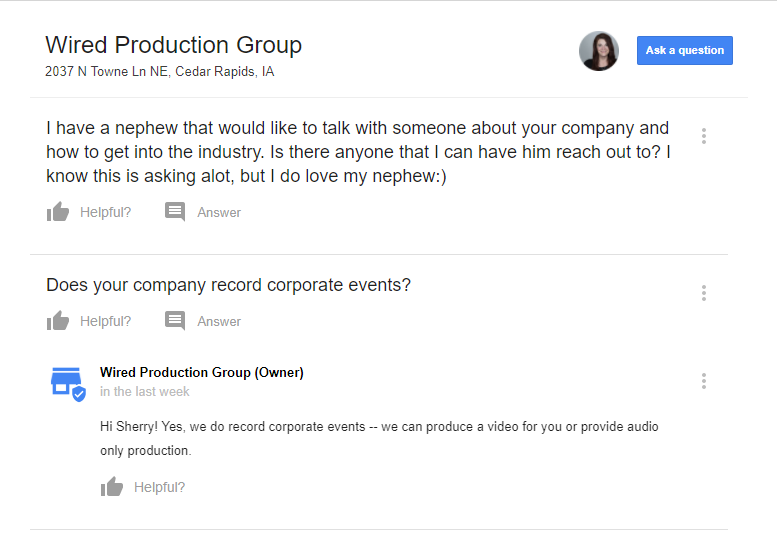 Did you know that Google allows people to ask you questions through your Google My Business listing? Yup. This new feature allows you to directly interact with potential customers. And because Google looks at each and every interaction and engagement you and your customers have with each other, it’s a great thing for both of you! Keep an eye on your GMB dashboard for a notification that a person has asked a question, and be sure to answer the question promptly. When you set up your Google My Business listing, you were asked to select categories for your business. Often people select the wrong category – or select too many categories (which can dilute your business type.) Additionally, depending on the type of industry you’re in, you may have the same category as several other competitors so you’re competing head-to-head with them for rankings. This type of situation is common for attorneys at the same law firm or realtors. If you’re not showing up high in local search results, check and see what your higher-ranking competitors have selected for their category, and either select the same category they have or pick a different one. (Now, this is not an overnight win – there will be trial and error with this method.) But with a little testing you could hit it BIG. Just look at the jump one of my clients received after we switched her category from the general category of “Lawyer” to “Family Law Lawyer.” Not only did she leapfrog in the rankings, but since she truly does specialize in Family Law, it was a better fit for her professionally, too! Need some help finding the best category for your business? Check out Pleper.com’s GMB Categories Tool. Most people don’t realize that anybody – even your competitors – can make changes to your Google My Business listing. (Yup! Scary, but true.) This means that you need to be vigilant about checking your listing on a regular basis to ensure that someone with malevolent intentions didn’t make erroneous changes that could harm your business – and your rankings. I recommend that you check your listing for accuracy at least weekly. 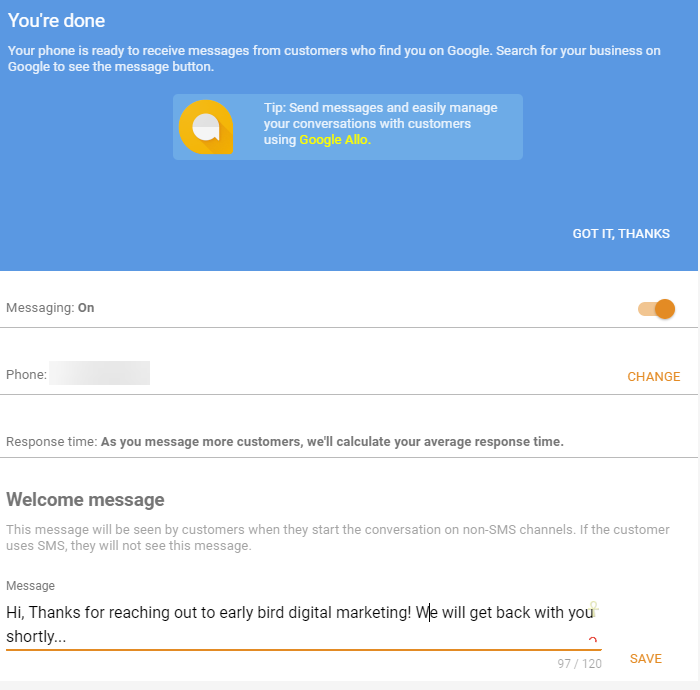 There Are Several More GMB Features – And More Coming! These are just a few of the cool features that Google makes available to searchers and business owners. Llog into your GMB dashboard, and check out the other options that are available to you. Have fun, and engage with your customers! It can help you get more customers and show Google that you’re engaged, which could help you rank higher!